Does your child love Corduroy like mine does? I’d almost forgotten about this classic book from my childhood until my parents gave our daughter a copy. We’ve read that sweet story of a little teddy bear missing his button and hoping for a friend hundreds of times over the last four years. Since it’s such a favorite in our home, I love the idea of having a Corduroy birthday party for my little ones — there are so many fun things you could do with this simple theme! Here are some great party ideas. Start your party off right with these adorable (and customizable!) birthday party invitations from Zazzle. 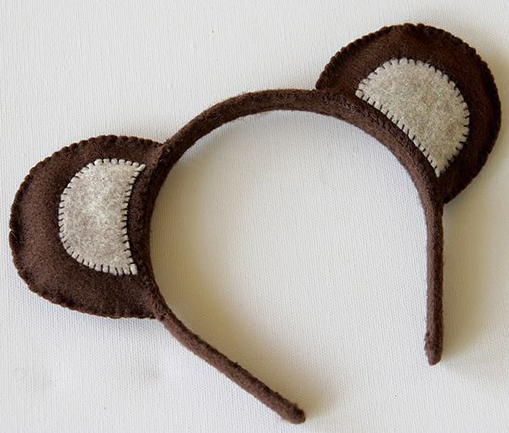 These headbands are fun to have your guests wear during the party, plus they’re a great favor for them to take home after. And how cute will they look in all the photos? 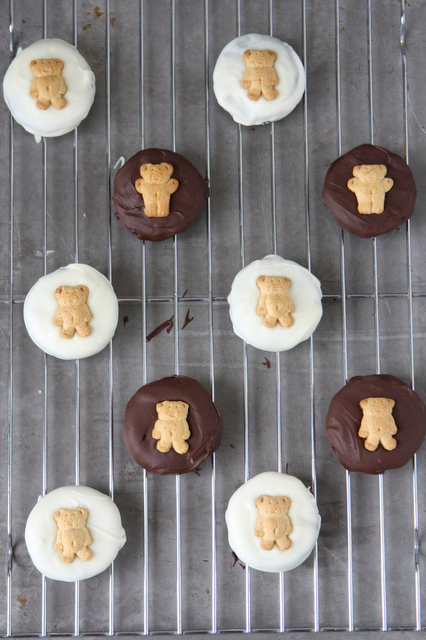 These easy treats are delicious and look darling all laid out on a platter together. 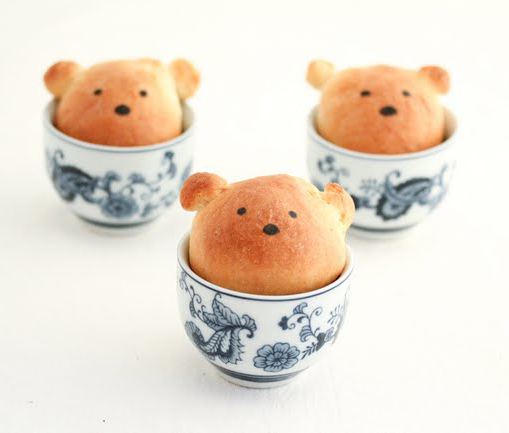 It’s amazingly simple to make these little bear faces (you can use any kind of bread dough you like!). 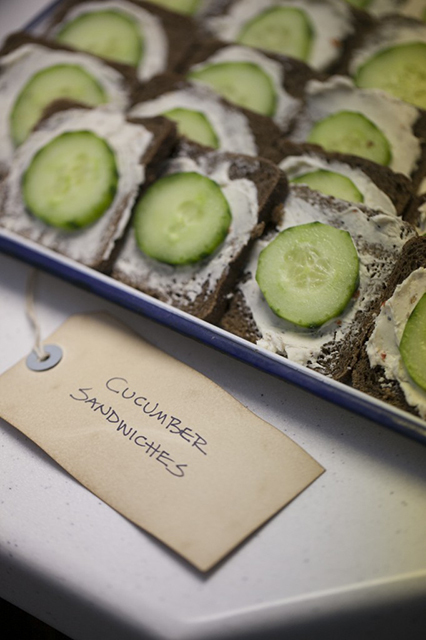 Slices of cucumbers make perfect buttons for a cream cheese and cucumber sandwich display. Use paper plates in bright colors and punch holes in the center to make a fun button garland! Use a large collection of multi-colored buttons to hold your flower centerpiece in place and add a nod to Corduroy’s missing button. Blindfold the guests and have them try to put Corduroy’s missing button back where it belongs! 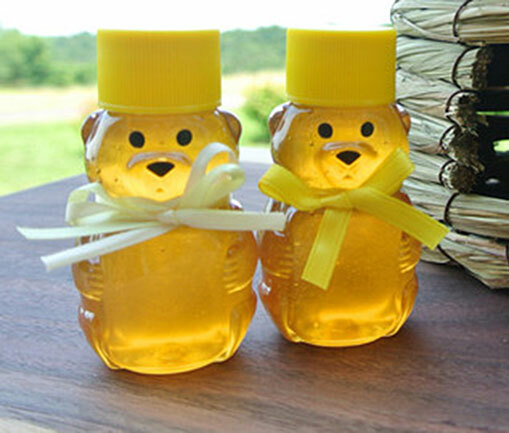 Tie a ribbon around the neck of a honey bear jar and send them home as a sweet (and useful!) favor.